What is digital citizenship? And how can we teach it? One of the key concepts within the Digital Technologies Curriculum is interactions and impacts. The interactions and impacts concept focuses on all aspects of human interaction with and through information systems, and the potential for positive and negative economic, environmental and social impacts enabled by these systems. It covers appreciation of the transformative potential of digital systems in people’s lives. It also involves considering the relationship between information systems and society and, in particular, the ethical and legal obligations of individuals and organisations regarding ownership and privacy of data and information. An important aspect of these interactions is in the area we refer to as digital citizenship. A digital citizen refers to a person who has the knowledge and skills to effectively use digital technologies to communicate with others, participate in society, and create and consume digital content. For more information about digital citizenship, take a look at the topic page of the Digital Technologies Hub website. Try one of these lesson ideas or resources to implement Digital Technologies in your classroom. Students work together to brainstorm the dangers, problems and pitfalls in using ICT and online spaces. They collaboratively agree upon a set of protocols and rules for using technology, and develop processes and procedures to follow when using ICT. Students learn about web mechanics, security, and privacy as they analyse and reflect on common surveillance practices, as well as their own privacy habits. When I post something online, how permanent is it? Students engage in a photo rip-up activity to emphasise the permanency of online information. 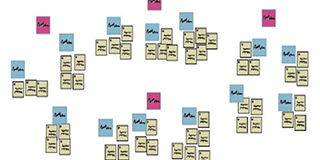 They explore factor trees, doubling and line graphs, and develop a set of protocols around sharing information online. 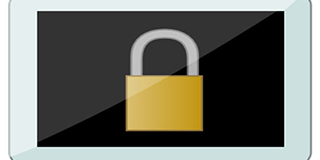 Learn about the simple things you can do to protect yourself and your information. 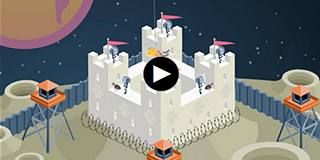 See how encryption can protect your privacy. Find out the true meaning of hacking and some of the many reasons hackers hack. In 2017 Refraction Media will deliver more than half a million Careers with STEM magazines directly to every Australian secondary school across each of the STEM disciplines — Science, Technology (Code), Engineering and Maths, with a bonus Health edition too. 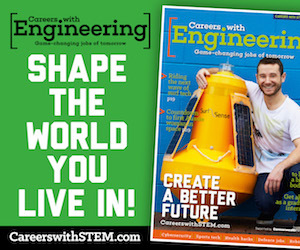 Read the latest edition of Careers with STEM magazine: Careers with Engineering. Inside you’ll find over 30 stories and exciting career journeys, including 30 engineering women. It also comes with free teacher notes and classroom posters. Matt is a former teacher, and is now an Education Improvement Leader (Bayside Peninsula) for the Department of Education, Victoria. 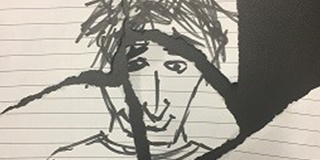 Matt has also been involved in writing content for the Digital Technologies Hub website. 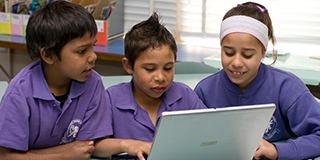 This webinar will cover what digital citizenship is and why it is important; alignment of digital citizenship to the Australian Curriculum; and practical lesson ideas and approaches to: digital footprints (helping students understand that they have a digital identity), respectful online behaviour, and digital safety. Rebecca and her team have developed a framework to help teachers with the interpretation of the ACARA achievement strands. In this webinar Rebecca shared some resources to support assessment of the Digital Technologies Curriculum. She discussed some approaches that can be used to design assessment tasks. The recording for this, and all of our previous webinars, can be found on our webinars page. The Australian Computing Academy, an initiative of the University of Sydney and the Australian federal government, is running 2-day professional development workshops for teachers this month in Cairns, Hobart, Launceston and Burnie. These workshops will explain the key concepts and vocabulary in the Digital Technologies Curriculum, point you to a wide range of practical activities and resources to support your teaching, introduce you to the Digital Technologies Challenges, and provide accreditation. For further details, and to register, please use the following links: Cairns, Hobart, Launceston, or Burnie. Browse the Student Wellbeing Hub resources for educators, parents and students on a range of topics related to health, safety and wellbeing. One of the most accessed topics is Being safe online with curated, curriculum-aligned and age-appropriate resources to support schools in navigating the many issues related to safe internet use. A popular resource from our podcast series is Digital Citizenship, which builds awareness on the importance of teaching students to be responsible and respectful digital citizens. Stay Smart Online Week runs from 9 to 13 October, and is a national awareness initiative that puts online security in the spotlight, reminding us all to set aside some time to focus on the important but easy steps that we can take to stay safe online. This year’s Stay Smart Online Week is all about simple steps to online safety, with a focus on five key areas: privacy of your personal information, strong passwords, software updates, backing up your important information and avoiding online scams. Calling all Australian F–6 and pre-service teachers. Please complete this survey, which explores your confidence in teaching the Digital Technologies subject of the Australian Curriculum. The survey should take 15–20 minutes to complete, and it is open to all Australian educators.